On the day of surgery, patients will have prepared for their surgery by adopting a suitable hair style depending on the plans made at the design consultation. In addition, they will have made suitable arrangements regarding medication and lifestyle in order to optimize the results of surgery. All of the back of the scalp (or part of it) will be shaved by staff to facilitate the procedure. The transplantation procedure is all carried out under local anaesthetic (see comfort measures below). The area where the grafts are taken from (ie harvested) is known as the donor site. In larger transplantation procedures, we have to shave all of the back of the scalp so as to facilitate the procedure by being able to identify the best hair for transplantation. This will depend on several factors, including such unique variables as hair colour and hair calibre. Generally speaking, the donor site usually heals up within days. Grafts are taken from this site in a particularly precise yet random manner. This is in order to ensure that there is never a noticeable 'donor site'. There will be no discernible 'pattern' from where the grafts have been removed. This requires careful planning and a well-trained eye. Surrounding hair growth will disguise the small marks that are left behind. If one is not normally in the habit of having a very short haircut, then adopting a short hairstyle for a period of time before the surgery will ease the post-operative transition after you resume normal social activities. In smaller transplants (particularly for a patient who has long hair) the back of the entire scalp does not necessarily have to be shaved. We can instead shave narrow lengths of the donor site. This allows for the harvest of the grafts following which the donor sites can then be camouflaged in the immediate post-operative period by brushing the adjacent long hair over the donor lengths. 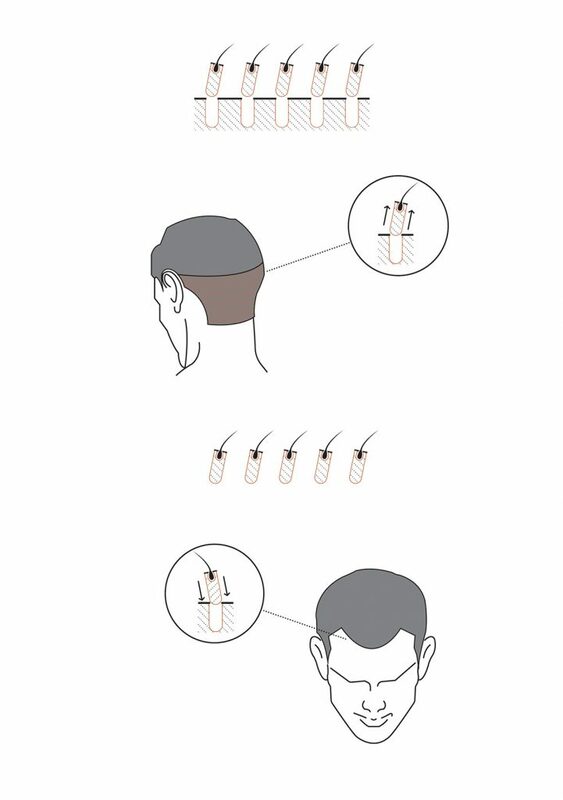 The donor site hair grows back within 1-2 weeks, by which stage the donor site incisions will be quite inconspicuous, not only as the surrounding hair has regrown, but also as the stippled, punctate nature of the incisions begins to look like normal scalp situated in-between the native hair. 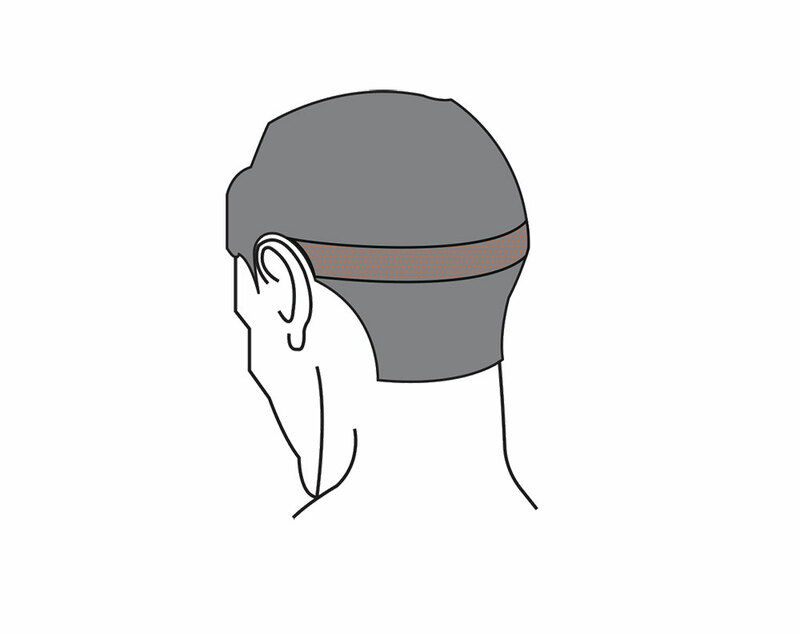 When the hair is removed (harvested) it is then transferred to the thinning area (the recipient site). Small incisions are made in the recipient site into which the transplanted hair grows. The hair that is transferred into the recipient site is fragile and must be protected from being pulled out/dislodged in the first 2 weeks following surgery. Again, we will advise on this in detail at the second consultation. AF Belfast. Ten months post procedure.